Even though the educational field took its time to allow the intervention of technology, the change was inevitable. Interactive displays, including smartboards, touchpads, and even handsets, have entered the world of academia, creating a revolution in teaching methodologies. The Electronic Whiteboard Warehouse allows educators to choose from a variety of touchscreen displays in order to enrich learning experiences in a manner more advanced than ever before. Smartboards, being the most sought after tech-product for today’s progressive classroom, have a number of features that lure even the most old school, traditional minded educationist. 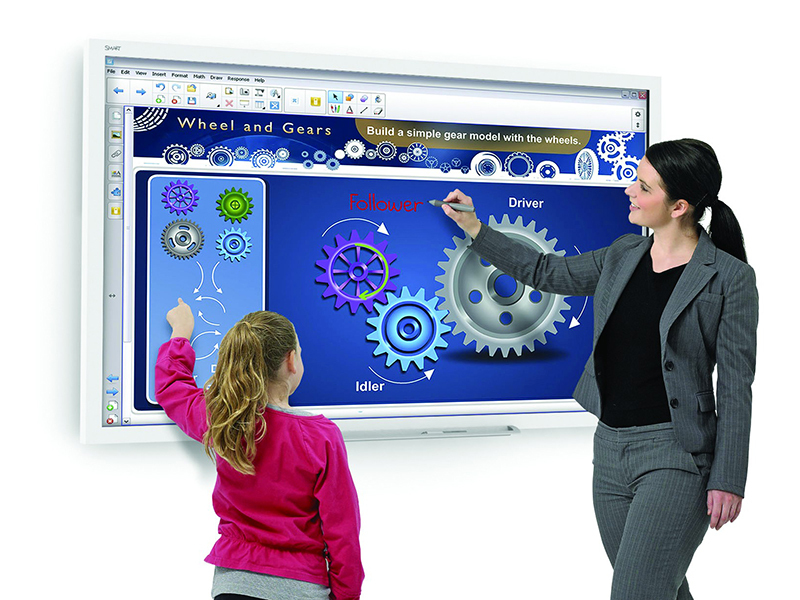 With outstanding educational software, interactive whiteboards allow teachers to vary their teaching techniques, keeping the students curious and engaged. Other software enables annotation, so that users may write over documents and images. Students may also have the confidence to write on the board, owing to the handwriting software that changes handwriting to text. Moreover, the new models allow multiple users to write at the same time, encouraging spontaneity. Videoconferencing is another groundbreaking function brought by interactive touchscreens. Classes are no longer limited to the people inside the room. Diversity has found a completely new meaning now that schools are able to study, discuss, and present ideas to classrooms in different countries. Many institutes across the world are using this feature to encourage collaboration and help build knowledge of different cultures. The video recording feature allows students and teachers to go back and view lessons previously conducted. Why Should you Study Marma Massage in India? With wireless connectivity, smartboard interactive touchscreens also allow the downloading of internet content during lessons. Teachers and students may not only write on this content with a digital pen, they can also save their discussion for later viewing. An Interactive whiteboard can act as a standalone computer, as well as a large functioning touchpad for other computers to use. With USB connectivity, it is easy to save and transport data across devices. LED technology, low glare and smooth surfaced screens further enhance the experience of the user. The fact that they are available in a variety of sizes makes it all the more convenient for buyers to assimilate their requirements, based on the size of classrooms. The Smartboard 4075 Interactive Touchscreen Display is one example of the fantastic new members of the classroom. Like other latest Smartboard models, this includes the Smart Learning Suite software, which is educational software like never before. It includes the Smart Amp, Smart Lab, and Smart Response applications, which provide teachers with an array of options to choose from and implement in their lessons. The Smart Notebook software has been around longer, as in the Smartboard SBM 680 among others. This ever popular software provides teachers with numerous resources to assist in lesson planning. Interactive displays in classrooms are gradually turning into a necessity. With statistics showing a distinct difference in student response and understanding whilst using this technology, an increasing number of educational institutes are flocking towards smartboards. Teachers and students both benefit so greatly from the use of smartboards in classrooms that its actually hard to tell who enjoys it more. That is what a successful break-through looks like. Why is WordPress Hosting best for bloggers? How to Plan for Your Child Future Education in Right Effective Way? Cheap Essay Writing: Is Low-Cost Help Reliable and Can Bring Benefits?